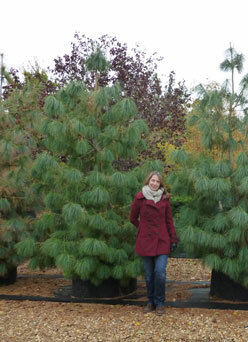 Pinus strobus is native to North East America where it is known as the Eastern White Pine. It was once the regions tallest tree, reputedly growing to over 80m. 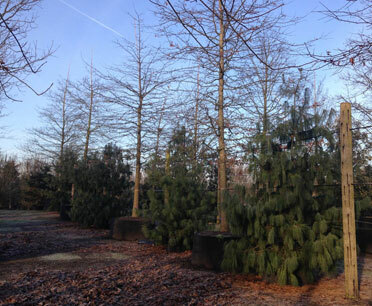 Younger trees are conical in shape but broaden with age to an oval crown. 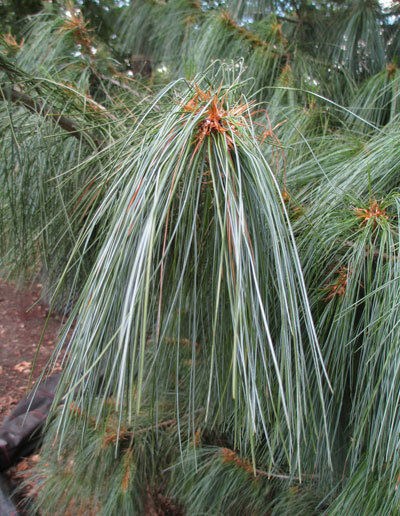 Weymouth Pine has long, bluish green needles usually in groups of five. 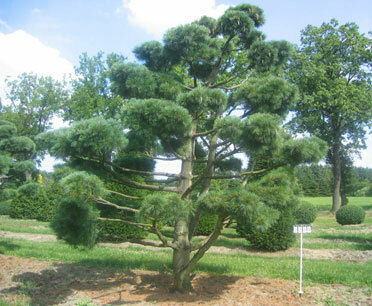 They are soft to the touch and when young it is somewhat similar in appearance to the Bhutan pine (Pinus wallichiana). The cones are long and narrow, hanging from the stems. They broaden as they ripen and open out to release the winged seeds. 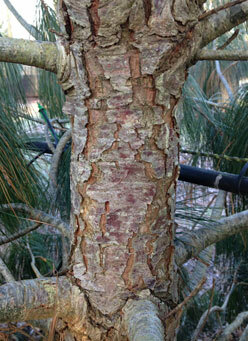 The bark is smooth and dark grey becomes furrowed on mature trees. Before the American Revolution, the Crown would send people to mark Pines and reserve them for the British Navy. Specially built barges would transport them back from America to Britain for use as sailing masts. 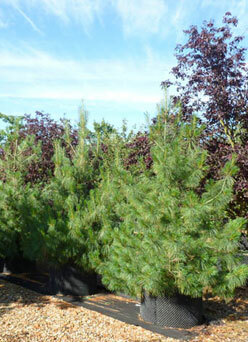 Pinus strobus will grow best on a fertile, well -drained soil in full sun. 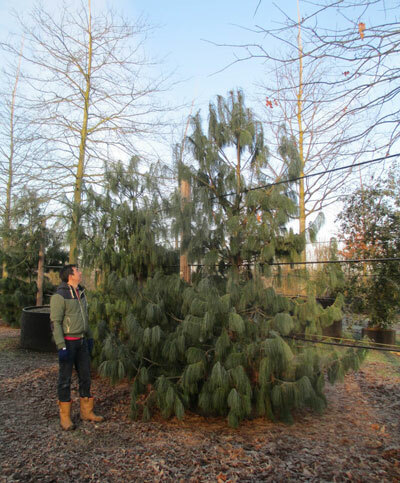 It is available from Deepdale Trees as a feathered plant up to 4m high. 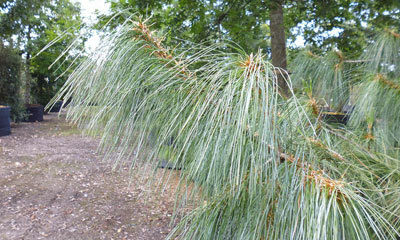 FACT: The needles of this pine can be used to make a herbal tea. It is thought that it may contain five times more vitamin C than lemons.